2 x 110amp batteries 2018. Standing rigging: Hamma triangulated low stretch wire. Fitted with new Furlex furling equipment 2018. New Sanders 120% foresail 2018. There is also a Tab sails #4 Genoa in addition to other sails listed. Spinnaker pole by Z Spars 2005. Two of the winches are for use with the running backstays. After the success of David Thomas's Bolero 25, he was persuaded to design a larger version. Sharing many of the virtues of the Sigma 36, the resultant design became known as the 'Big Bolero 35.5', and won over more fans with its spirited performance. The observations of her current owner best describe her strengths: "I have had the pleasure of owning her for fifteen years. We have raced her and cruised and have never been disappointed. Whether fully crewed or just two up, she sails quickly with a minimum of fuss and delivers you safely to port. Under engine she handles with precision, without prop walk and will go straight astern. She has plenty of room down below for fully crewed trips, with good sized berths and stowage. She''s been a great boat to sail and own." She has been fitted with new Furlex furling equipment in 2018 and a new Sanders 120% foresail. 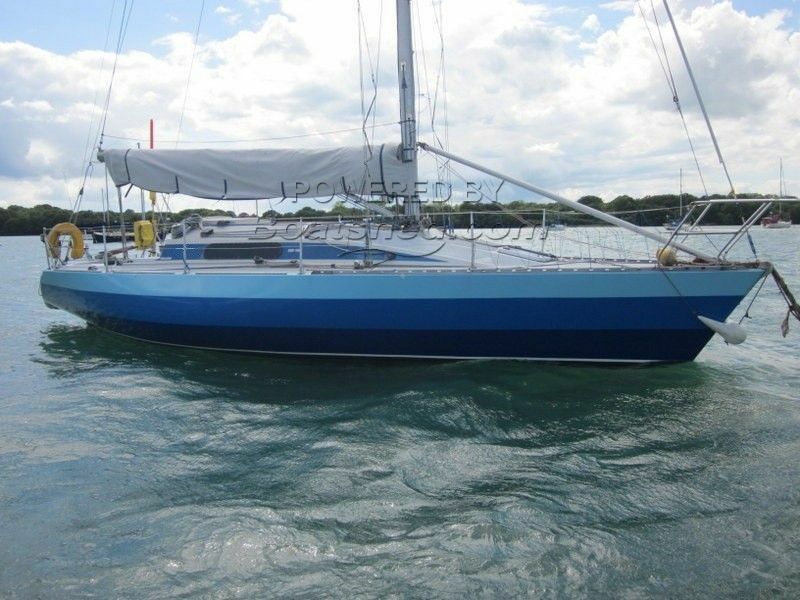 This Bolero 35.5 has been personally photographed and viewed by A Boatshed Representative of Boatshed Portsmouth. Click here for contact details.